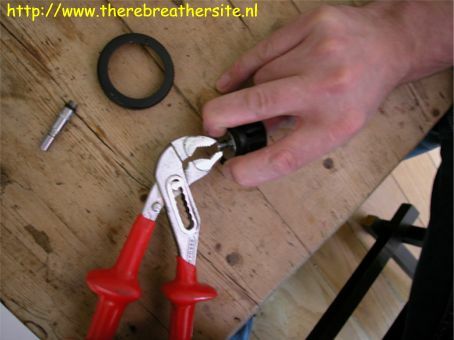 This photo series shows the replacement of O-rings in the diluent inflator. It is not a very difficult job, however, pictures are always helpful! 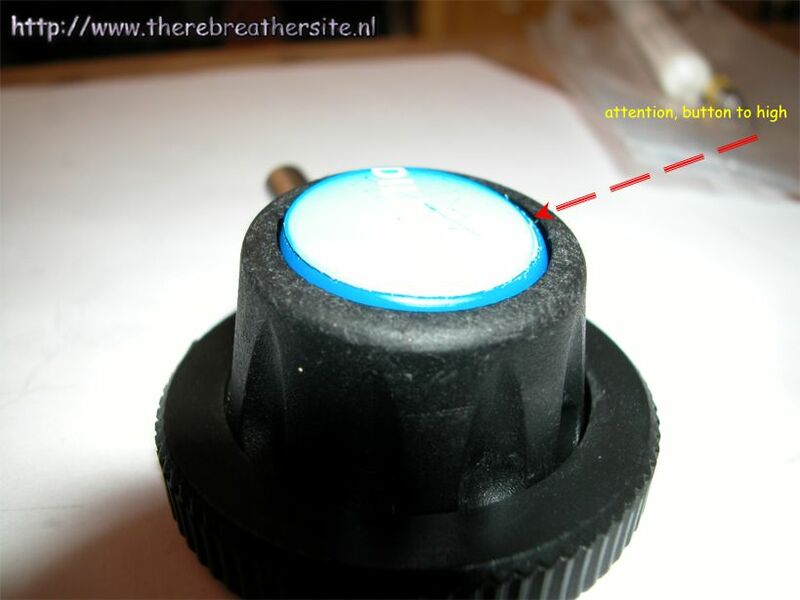 Leaking occurs almost always around the button. 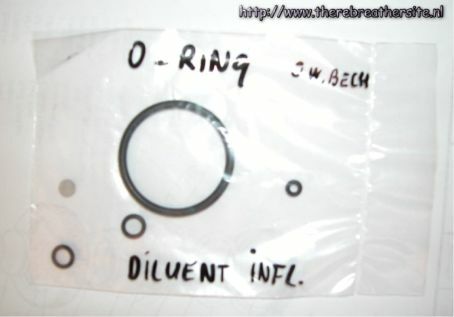 It is caused by the central O-ring which is most times damaged due to intensive usage. 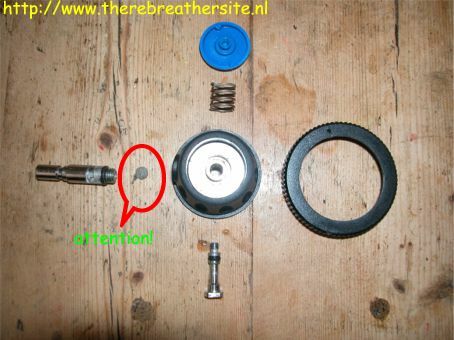 First, take out the quick connector piston, now the plastic ring is free. 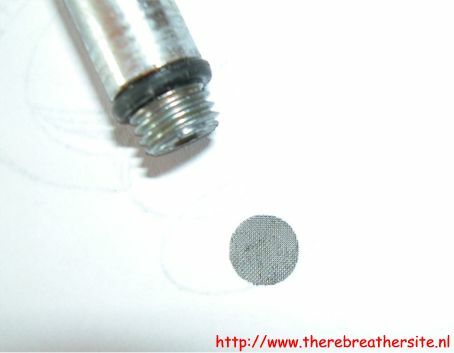 In the central body of the inflator valve there is a very small filter. Take care you don't lose this filter. Here you see the filter in detail. Also the chalk is visable. Replace the filter, or clean it. This O-ring causes the trouble. 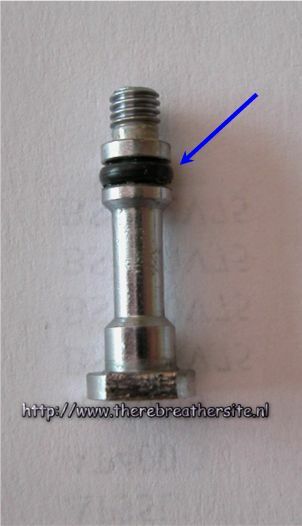 If this O-ring is damaged it is the source of the leak. When you take the O-ring from the shaft you don't need to be careful. 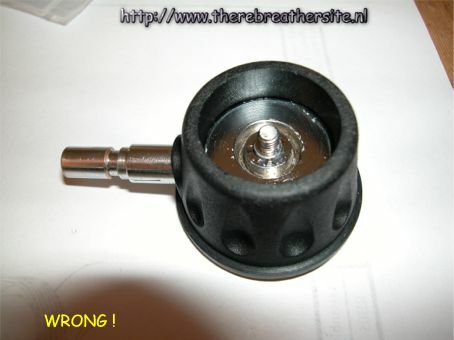 But with the assemblage take great care because small diameter O-rings easily break! This is the standard set APD provides. 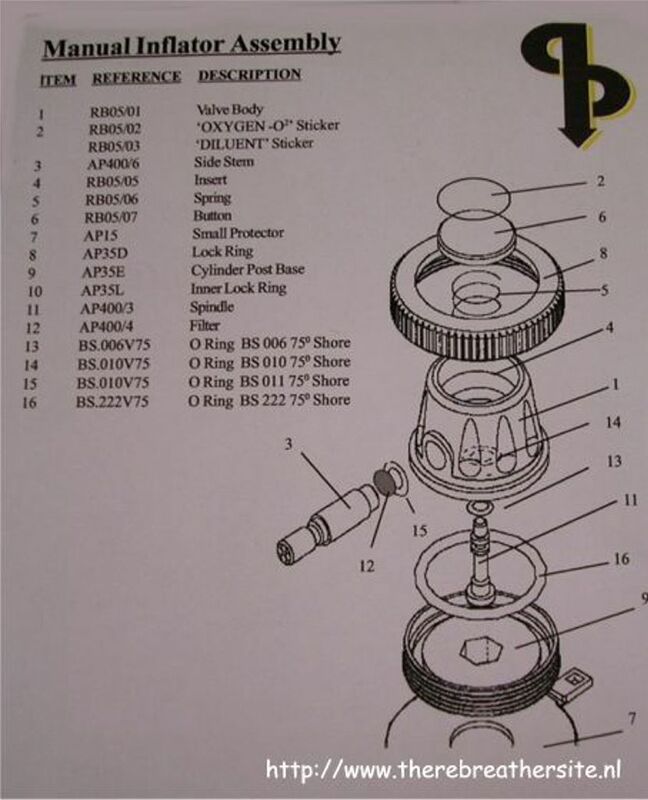 These are all standard 75 shore O-rings. 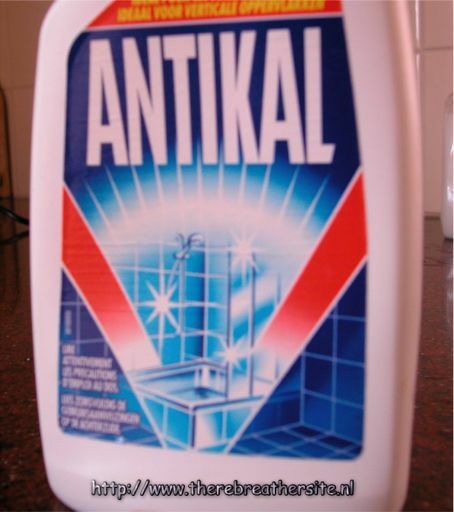 To clean the parts intens, I use ANTIKAL. I kind of chalk remover for your sink. Works perfectly. 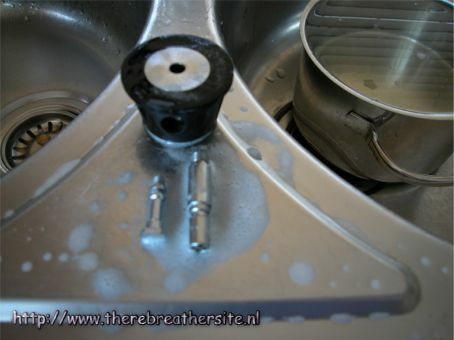 Don't forget to rinse the parts with clean water! You won't like the taste of this stuff! Here are the cleaned parts. I always do this on the sink, it spares several hours of cleaning per day in my kitchen! 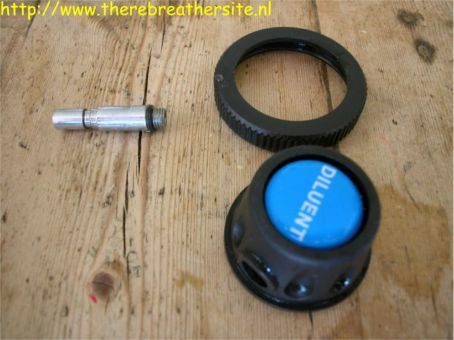 How you can assemble the quick connector shaft..... or..
Now put the central shaft in its place and turn the button tight. 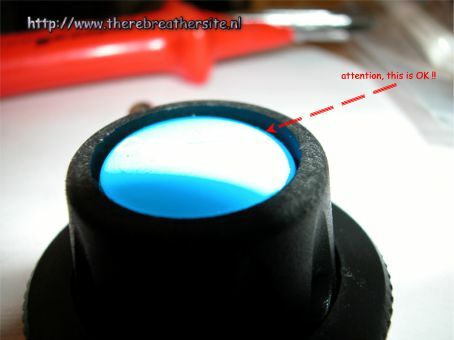 If the button is above the housing it is not tight enough! Take great care this is an very important issue. Here you see the way it should be. 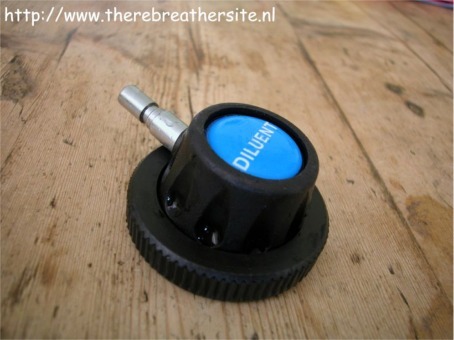 The button and shaft tight. You could do a simple test to check leaking. 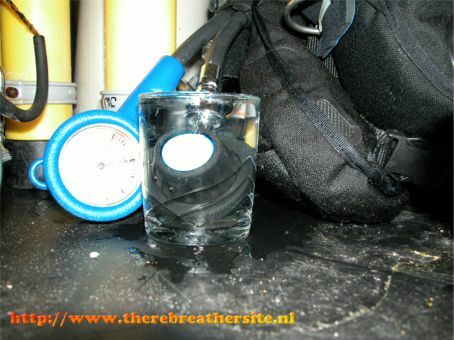 Just put it on the inflator hose and hang it in a glass of water. There is 10 bar pressure on the hose. If it is tight, you can pressume it is tight at 50 mtr.